Brace yourselves Disney fans, the latest and greatest show on earth is coming to town and really promises to impress! Commemorating 90 years of Mickey Mouse, this is a show you won’t want to miss. 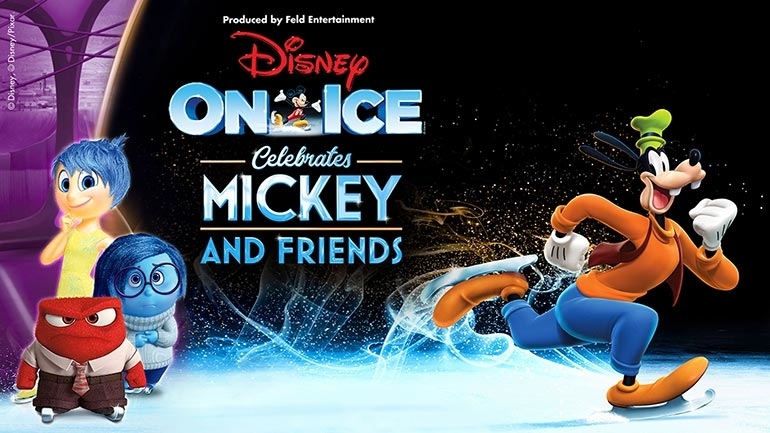 Mum Central is giving away five prize packs, each consisting of 4 A-Reserve tickets to see Disney On Ice celebrates Mickey and Friends in your nearest capital city, valued at $204 as at 18 March 2019. Whether you’re closest to Melbourne, Sydney, Adelaide, Brisbane or Perth, here’s your chance to see the magic unfold on ice and be part of this incredible milestone. 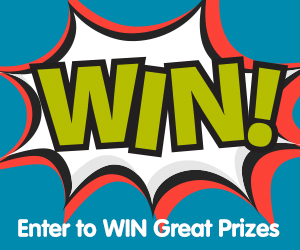 Simply scroll down to enter to win Disney On Ice celebrates Mickey and Friends tickets for the whole family. Audiences are in for a treat with this magical installment of Disney On Ice. Along with commemorating 90 years of Mickey Mouse, many Disney favourites are set to stun us all. The story we’ve all been waiting for, Moana, will debut with Maui on an adventure across the seas. Dory will take off on a journey across the Pacific Ocean and the Toy Story gang will do what they do best. Get ready for all those feelings with the team from Inside Out. Of course, your favourite Disney Princesses, Anna and Elsa from Frozen will be there too! Tickets on Sale NOW, don’t miss out! Disney On Ice shows start in Perth from 31st May 2019 and finish in Sydney on 21st July 2019. 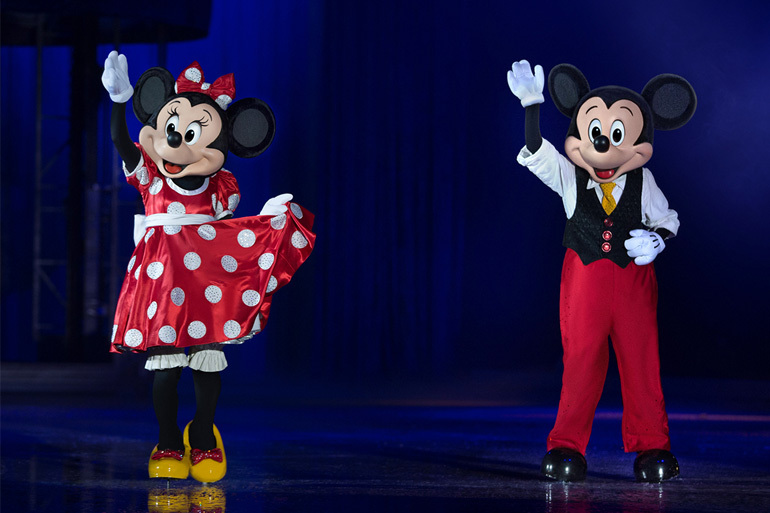 Tickets are now available for the highly-anticipated Disney On Ice celebrates Mickey and Friends event in all major cities, but be quick, because they are selling out fast! Growing up being a skater I would love to share this experience with my son. To see his face light up seeing all the Disney characters would be beautiful. Disney brings back so many happy childhood memories for me, so of course I want my children to experience the same magical wonder! To see so many of our favourite Disney character in the one show, will be like the greatest show on Earth for my family. My two girls and I love all things Disney! We love the characters (lots of debates about who is the best! ), the songs and the settings! We love it all!! Watching my kids faces light up when they see there childhood favourites out there on the ice is absolutely magical everyone involved in Disney on ice is just amazing so talented and most importantly creating wonderful memories for children of the future its world that can be very dark some days. Disney is a classic for all ages and I would love to experience the show on ice with my family to make for an awesome day out. When Mickey was a young man of 40 I was lucky enough to go see him and all his friends in Disney on Parade. There was no ice involved and it was held in a tent like The Big Top circus tent. It was an incredible outing. Now 50 years on, it would be an honour to see Mickey again, and this time on ice, and also to see all his friends, old and new. I LOVE LOVE LOVE Disney and I am raising my two boys to love Disney as well, gender stereotypes aside. I think my husband would like to too just quietly! To bring my little girls Disney fantasy to life would make them the happiest girls on earth. I believe I saw Mickey Mouse when he was a young fella, at his 50 celebrations. I was a young fella too. Now I’m looking to win to take the young ones now. We look forward to this event every year. Its so exciting to see what Disney brings each year. A great time out together as a family, creating wonderful Disney memories. My daughter loves all the Disney characters and it would be thrilling to experience the excitement of Disney on Ice. My daughter woild absolutely be gobsmacked to see this show! I can just imagine her little face now! I love Disney On Ice! I love seeing the Wonder in my sons eyes and feeling like a kid again myself as we all sit and watch with huge smiles from ear to ear. My son loves all the Disney characters. He would be absolutely thrilled if we won. He really loves goofy. My 4 yr old daughter & I would love everything about Disney on Ice! The show, the sharing of a magical & special day & the whole weekend adventure! I have 4 children & have never been, however I have always wanted to! We live over 3 hrs drive from Melbourne so adding all costs (tickets, petrol, accommodation), its always simply cost too much. However, if we were to win tickets I would save & make the rest happen! I have 4 children & my youngest is now 4 so you can only imagine how well we know all of the Disney characters! Our fingers are crossed! I crew up with Mickey and all his friends and my two new nieces (2&4) would love to see Disney on Ice,would be so so enjoyable for both adults and children. Disney characters are classic! Will be around for a long time and loved by both young and old! I would love to take my little girl to the Melbourne show, it’s just days before her birthday. I love Disney, especially Mickey Mouse! I would love to take my boys before they grow out of Disney. They hang out atm for new movies to hit the big screen! There is something truly magical about Disney, even more so now that I’m a mum to a beautiful little girl who is experiencing it just as I did growing up. I would love to be able to share this experience with her, what a treasured memory it would be for both of us, but especially me getting to see her little face so full of excitement! Goodluck to everyone, I will be keeping my fingers and toes tightly crossed! My 3 granddaughters just loves the disney characters. But Anna and Elsa are their favourite by far . I LOVE how it is fun for kids AND parents! Bringing back childhood memories for me, while making new memories with my kids is just the best! Fills my heart to see them enjoying Disney as much as I do! Three years ago my 4 year old daughter watch Ice Princess on holidays and kept telling me she wanted to learn to ice skate. We live in Townsville and when we got back found out our skating rink had just reopened. Since then she has been learning to skate competing in competitions and making us very proud. I would love to take her to see this performance. It would be an amazing experience for her. My family would love to experience the joy and wonder of Disney on Ice. I have an 8 year old and 4 year old Disney fanatic, who love watching the same Disney movies on repeat and listening and singing along to the songs in each movie. Their favourites are Little Mermaid, Frozen & Mulan. I love that Disney on Ice gives every little girl and boy the feeling of magic! That the world is this amazing place. Imagination is a powerful thing and Disney lets children’s minds run free. I love that it highlights so many great Disney movies that everyone loves, from kids to young kids at heart! I went to Disney on Ice as a child, and my 3 and 1 year old loved last year’s show! I’d love them to have the same memories that I do! I still remember going to Disney on Ice way back when I was a child! Would love to share the experience with my son now and pass on the magical love of Disney! I have always wanted to go to Disney on Ice and now I have two little girls that I know would love to see it just as much.. Disney lives in all of us young and old. I would love my little girl, niece and nephew to experience the magic of Disney on ice. My parents took me when I was little and the memories are still with me. I remeber going to see Disney on Ice as a kid and want to give my daughter the same magical experience like i had. My 2 kids love all disney movies, old and new, and I would love them to have this experience singing and dancing to all their favourite songs. I love instantly being taken back to my childhood memories while watching my kids imagination come to life. We enjoy the talented ice skaters, popcorn, lights and MAGIC! I would love to take my girls to Disney on Ice. It was one of my favourite experiences as a child. We live 6 hours away & the long trip would be totally worth it& something the girls would remember forever. My eldest would look forward to seeing the Toy Story characters & youngest loves Frozen. Would be a perfect birthday present for my youngest. Thank you. To see my little guys face when Woody and Buzz skate out would just be incredible! I guess everyone has the same idea. I too would love to relive the memories of my childhood with my son and husband, being privileged enough to see Disney on Ice as a child was magical in itself. I loved everything from the lights to the toys that you can get there, from the atmosphere to the theatrics. Ah what a magical experience it was! I still remember going to Disney on ice when I was a little girl let’s say a few many years ago and I still remember the fun and the magic and the excitement and I would love to see that on my girls faces and hopefully they will remember years later like I have. 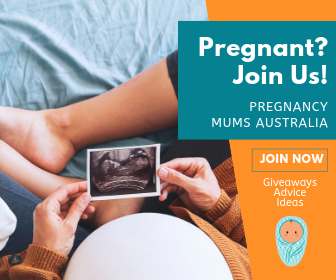 My great friend has 2 young children, i would love to share in the experience to be able to take them along with their mother. Just to see the expression of joy on their little faces. My daughter loves Elsa and my son loves Mickey mouse. They are going to be so happy if we go. 5 capital cites, what about Hobart? Would love to be able to take my girls as I know they would love it, as I did when I was a child. But always adding airfares on top, the price mounts up. I love that both parents and children enjoy Disney and kids of different ages get different things out of it! I would love to take my daughters to Disney on ice. I was lucky enough to go when I was a little girl and we have not been able to go to any show with our girls. I think it would be an amazing experience for them. My 7 year old would love to see the show especially with with Moana been on the show and of course who could forget Frozen she was about 4 when Frozen came on and oh boy it was a hit!!! And My other little one who’ll be one by then loves Mickey and she loves dancing to all the music i’m Sure she’ll love it too! It’ll be magical!! Watching Disney on ice brings back so many memories of watching it as a young child. I’d love to take my daughters to experience it. I have 2 girls that would love to go to Disney on ice , they love anything Disney . I remember going to it when I was young and it was magical then and even more now I’m sure . I love watching the kids faces as every new character comes onto the ice. Also the skill from the dancers is amazing to watch. I’d love to take the family and we’d love it all. I think the Toy Story Gang would be the highlight for us as big fans of the movies and characters. A once in a lifetime experience I’ve always wanted my children to enjoy. Thanks for the opportunity. We haven’t been to a Disney on ice show for a few years but my daughters are at an age now to appreciate the effort and mammoth preparation it takes to pull off a show like this which our whole family love everyone loves Disney – especially on ice!!! I love how magical and fluid Disney on Ice is. It beautifully crafts all the Disney stories into a gorgeous show whilst mesmerising audiences with ice skating stunts. Children and adults can relate to the show because of the familiarity to Disney movies and get transported to the magical realms of Disney through the show and various characters. I love that it’s such a family event. I took my girls to frozen on ice last year thinking I was in for another boring frozen event but I absolutely enjoyed myself as much as the kids!!! I have been taking my girls for the past two years and would love to continue the tradition. My girls abolutely love the show and even hubby enjoys it. My girls are huge Disney fans and get so excited seeing the show come to life. Their eyes nearly pop out of their heads. I would love to take my grand daughter’s to Disney on Ice. Would make precious memories for us. I have never been to anything like this either. I have 12 grandkids. 6 girls 6 boys but the younger girls are babies. I am very blessed. I love how much the kids love it! They have so much fun and wonder…. I’d be like a big kid myself! I would love to re live amazing childhood memories of watching all my favourite Disney characters on ice.. my children also love Disney and we have never a live show like this. To see the joy on my kids faces would be incredible. Disney on Ice brings the magic and more to every generation. My face will hurt from the smile it brings to me and my kids. Hi I love that Disney on ice brings back so many beautiful childhood memories for me and I would love to share that experience with my 3 year old son. Why is my wife’s post listed as 10 hours ago? She just wrote it. Watchout for dangerous barriers at Disneyland, My daughter has a scar on her face from a pointed metal barrier at Disneyland Paris. Living in Qld we’re in awe of anything to do with ice and snow! Can’t wait to watch the princesses from Frozen, and my all time favourite, Woody from Toy Story!! Roll on winter!!! I grew up watching Disney movies and I love them for all the little life lessons I have learnt and that are now teaching my son. I’m looking forward to being able to share the magic of Disney on Ice with my daughter and seeing the excitement and joy on her face as she sees her favourite Disney characters singing and skating right before her own eyes. I love the Moana soundtrack and wpuld love to see my 6m old’s face light up with the music and movement! I love watching my kids’ faces light up as they recognise the characters and how they get blown away by the spectacular display! We are looking forward to seeing Moana and Inside Out this year. Amazing! I would love for my daughter to have an extra special birthday present seeing her favourite Disney characters up close. It’s somewhat of a tradition to go to Disney Ice shows dating back over 3 decades for our 3 children & now their 4 grandchildren! My girls have never been to a Disney on Ice show, but they would absolutely LOVE to be Mickey’s friends too!! My 5yr and myself are looking forward to Moana!! A favourite in our house. My girls, love Disney, we watch, sing and dance along to Moana and Frozen. Cheer on Woody and Buzz in Toy Story , and love ‘kitty’ in Monsters Inc. It would be so excited to share the excitement live. I would love to see my 7year olds reaction!! She loves all the princess characters, lives to dress up and is the only one of our children who hasn’t been to Disney on Ice!!! Please help us blow her mind with awe and wonder – I think she would smile for days and never forget the experience!!!! I remember when I was little my Nanna took m yself and my siblings to Disney on Ice. It’s something you never forget, especially since she’s passed. I would love to have my children remember their childhood and visiting Disney on Ice too and the shows are so memorable. Our 3 and a half year old twin girls would love to go! They are obsessed with toy story at the moment and love everything Disney! My 4 year old son is the biggest Mickey fan and his big sister loves Disney – they would be so excited to win! Disney is a classic. From the theme music to the characters, what’s not to love. A little bit of magic and childhood to share with my family. I’ve never been but it was a dream of mine when I was little and I’d love to treat my daughter to it as I can only imagine how much she’d love it. I’ll have a tiny baby too by this time so not sure how that’d work. Ear muffs maybe? My daughter has just turned two and we have just introduced her to Disney! She has loved all the movies so far and I think she would love, I had always wanted to go as a kid but never got the chance too. So would love to create an unforgettable memory for My daughter and I! I love that Disney on Ice has something for all ages – characters from movies my tweens loved as toddlers and grew up with, along with some of the more recent movies my youngest adores. As a child my grandmother would take me to all of the Disney on Ice shows as they came to my local area. It is such a special memory for me now as an adult and I would love to take my own family to experience the magic of Disney on Ice! Having the happiest place on earth come to Melbourne and for my boys to experience it would be magical. I have never been to see Disney on Ice but I have always thought it would be something magical to experience. It would be great to share the experience of Disney when I was growing up with my children who love everything Disney, especially Elsa and Ana. Love the fun atmosphere, being able to sing a long and is so visually spectacular!! It brings me back to my childhood and all the excitement that is Disney. Plus the Melbourne show is on my birthday and that would be an awesome way to celebrate my birthday. 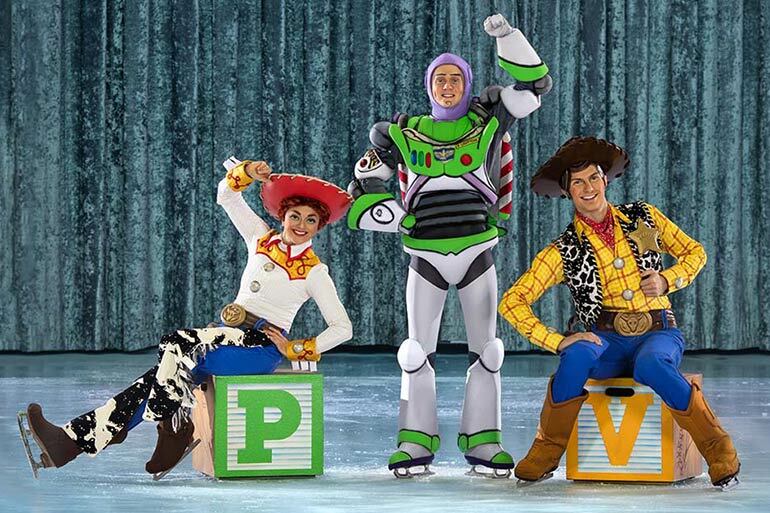 Whether your 2, 22, 52 or 92 Disney on ice is sure to entertain one and all, great show for all ages! I have never been to disney on ice and would absolutely love to take my two kids for the first time. My 3 year old girl loves Moana and Elsa and Ana. My 4 year old son is a toy story fan. But we really love all the disney movies. I can imagine their faces light up with excitement and I can already hear my little girl singing along. I’m looking forward to the new Moana segment of the show. My daughter and her cousin are huuge fans and would be absolutely star struck to see her! I’d love to take my daughter to see Disney on Ice as it’s absolute magic to watch her reactions to all of the characters and to hear her sing along to all the songs! I’ve never been to Disney on ice but It always looks so magical. Would be such a treat to take the kiddos! Disney is so much family fun the magical show left my daughter mouth wide open in amazement. I’d love to see my son’s reaction to the show. He loves the bright lights and colour, and loves to dance along to the songs. I’d love to see Disney on ice in Melbourne with my family. My youngest son is Disney crazy, he has autism and one of his things he does is talking about the things he loves and everything Disney. We have had a terrible time of late with my husband their Dad on deaths door and lucky to be alive and is now finally ok and this would be a lovely thing for us since we have been housebound caring for him for 2 years and havent been able to go anywhere other than his medical appountments. So our boys weren’t able to do any thing and not once complained. This way I can show them live is getting back to normal. Have never been to Disney but have rave reviews. Would love to take my son to experience the show. Plus me too! I would love to see it! My daughter absolutely loves Minnie Mouse, along with many other characters in this year’s Disney on Ice. She will have her birthday a couple of days before Disney on Ice comes to our city – Winning tickets for her and her friends would certainly be a birthday celebration to remember! I can still remember how excited I was to go & see Disney on Ice as a kid!!! I would absolutely love to take my own kids to experience some fun & Disney magic! I love the dazzling costumes, the fun and excitement of a show on Ice, and that I can share Disney with my whole family! I can’t wait to see an ice-skating Maui! That’s going to be an amazing feat. The magic that Disney continues to bring to my children is what I love the best. The joy and laughter on their faces is something that comes easily when the music of well-loved films begins, as a mum I love it just as much for that reason! It’s guaranteed fun for the whole family and is a magical experience!!! We would all be super excited to see Moana this year. My girls love dressing up as their favourite characters and seeing them in real life. Even hubby is a huge fan! I remember going to see Sleeping Beauty on Ice when I was a kid and I was absolutely entranced, would be absolutely incredible to relive that but with even more Disney characters! i love watching my daughter sing and dance to Disney movies and songs at home. to be able to see her do that at a live Disney on ice show, would be priceless. her eyes will light up. thankyou! My children love the disney characters and the music. Disney on ice is a spectacle that celebrates both, with an exciting story that spans the show, to keep all family members entertained. The excitement my little boy had when he saw the ad on television made me think back to when I was a child how amazing Disney on ice was which excites me to share with him how spectacular and magical Disney on ice is and give him the same fond childhood memories I have would be a gift in itself to me as a Mum! Disney on Ice is something for the entire family to enjoy! My kids and I have never been but hoping to this year, as my 3 to is obsessed with all things Disney, especially Moana as she thinks is baby Moana, she shares the same dark skin, dark eyes and curly dark hair, it is adorable! Disney on ice is for the whole family. This time with a Moana feature will make it even more exciting!! Both my kids have always LOVED Mickey Mouse. They’ve had a stuffed Mickey each since birth, they love watching Mickey Mouse Clubhouse. Would love to take them to see Disney On Ice again, they’ve only ever been once before. I have never had the opportunity to see Disney on Ice. My little girl has been with her Pop, but I would love the chance to experience it with her & my son, who I think would absolutely love it. We love Disney on Ice!! Since there is no Disneyland here, this is the next best thing!! It brings the magic of Disney to the family!! I want to take my daughter for her 3rd birthday. It will be the first show she’s been to and she loves Frozen. Looking forward to seeing the amazement on her face when she sees Elsa. Disney on Ice will provide a nostalgic sense of joy and imagination. My little niece consumes absolutely anything Frozen related & she will no doubt be in awe trying to find all the ‘crystals’! Disney on ice is just so magical and what i love the most about it, is the fact my 3 year old still talks about it from last year and is so excited to go again this year. I love watching my daughter’s face light up when her favourite Disney characters come on. She would be so excited to see them on ice. My 5 year old has been absolutely begging us to go and she watches previius shows on youtube but unfortunately we live 6 hours away and have 3 little ones so it has been way to hard for us to be able to make it happen! I love that everyone of all ages still get the chills at Disney. I love it when Disney Comes to Life and glides on ice! It would be priceless to see the smile on my son face ,To see Disney on ice . Where ‘big’ and little kids can go and lose themselves for a few hours to the joy that is Disney! Never been before, but have heard fantastic reviews. My daughter would love it. We would love to see the Toy Story characters, Buzz, Woody and Jessie. As well as Anna and Elsa from Frozen. Miss 3 1/2 is completely Disney-obsessed! We would love to see the new addition to the show with inside out & Moana. My daughter is obsessed with Moana but she still likes all th ed other disney characters in the show..
My daughter is utterly obsessed with two things – wanting to ice skate (she has to wait until she turns 4) and her “friends” Mickey and pooh. This would be a dream come true for her! I just L.O V E the M A G I C that is DISNEY ON ICE. It is breathtaking. My 2 1/2 year old daughter has just discovered frozen and toy story, has always loved Mickey and friends. Helps that mums is young at heart and loves all of the above also. During the magic on ice, many stories will be told. With all the Disney favourites including Minnie, his spouse. Her forgetful memory will cause quite the commotion. Being reunited with Andy is aim of their quest. Their performance will be magic, I have no doubt. Seeing Disney on Ice would be a dream come true! My youngest daughter is now three and I think she’s finally old enough to take to and enjoy the show! I’ve been taking her older sister for the last few years but would love for both of them to experience it together. I always asked my parents when I was littke to go but we never did. Now with my own son I would love to take him but I have family legal proceedings which is draining all my finances for little bursts of happiness like this. This would be the little bit of happiness to bring a smile to our faces at a time we need it the most. I love Disney on Ice asit bring a special magic moment to kids and adults watching. Can’t wait to share this experience with my two children. I love Disney. I am 31 years old and i have always loved Disney. I love collecting all Disney movies and items. I would love to take my boyfriend, Mum and cousin to Disney on ice this year as they love it as much as i do and it would be an amazing day out. It would give us something fun and exciting to do together. I cant afford to pay for 4 tickets as I dont get paid much and i have too many bills. I would really appreciate and be grateful to win these tickets. I love the way it makes our faces light up! Such an amazing show to share with the whole family! My daughter and her bestie would never let it go if we won! Disney On Ice is the closest my daughter will ever get to see her idols. The magic in the atmosphere is electric and so contagious. To see my daughter smile and get excited to see the variety of her idols would be a dream. What makes it so special and magical is the vast variety of movies, characters and princesses they include. Something for everyone, including the parents! It’s my daughters 3rd birthday coming up and she asked to go to Disney on Ice instead of the Minnie bike she originally asked for. But with 3 little ones under 3, it’s hard to afford. Would love to take her. I’ve been to several Ice shows and fell in love with them. Would love for her to experience the same feeling. Makes me feel like i am on the other side of the world in Disney Land America! A magical show to be remembered forever! No better way to feel like your part of a star show in a dream land of Disney! I am so excited to see the look on my kids faces, and experience the magic of Disney on ice. I desperately wanted to go as a child but was never able to… So secretly it’s for me too! 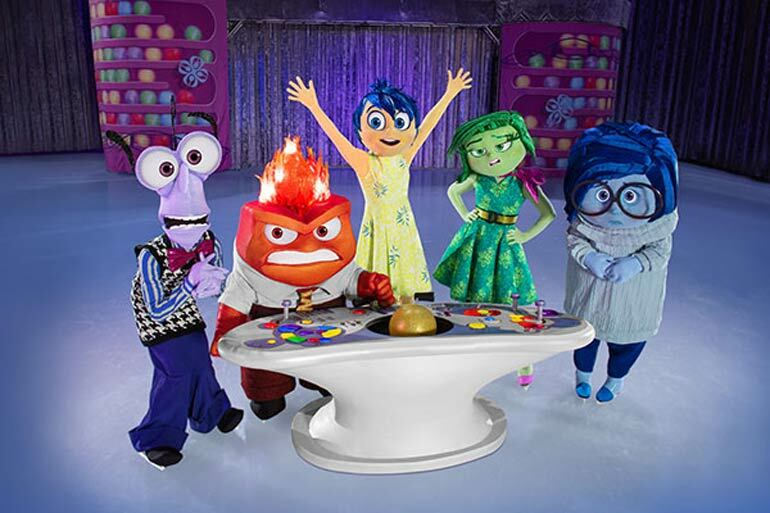 Disney on ice is an amazing experience for the whole family to enjoy together. Sometimes I think the adults there enjoy it as much as the kids. I would love to share this experience with my little ones. I love Disney on Ice because it brings so much Joy to my daughter and myself! We watched it for the 1st time last year, 1st time for myself as well, and it was just amazing! The charactors, the talent of the skaters was just incredible. There’s nothing else like it. My daughter was in awe and so was i! what a show! I have never been to Disney on ice but it looks truly magical. I’m a mother of a little 2 year old who would really love to see her favorite characters come to life! Love being able to watch the same movies with my kids that I used to enjoy when I was a kid. I would love to take my daughter to Disney in ice. I remember going when I was little and it’s a magical time to spend with the people you love. This would be such an amazing opportunity to take my 3 and 5 year old neices along with my sister. We all love Disney and this would be a fun girls day out! We would love to see Moana! I would love to take my daughter to see Disney on Ice – although I don’t think I will get to see much, because I think I’ll be too busy watching her face fill with joy, wonder and amazement! When I was a kid I love to watch Disney movies whenever I have a chance. Up to now my love for Disney movie is eternity and passed it to my 4 year old daughter who is an absolute fan specially with the princesses and their animal friends. We wish to see these massive event along with my little ones. I remember the magic from my childhood and I love sharing the magic with my children. Disney brings families closer together. The countless times I’ve read Disney books to each of my 4 children and sat on the couch for that short amount of time with the children without sibling squabbles and carefree fun, I’ve sat down and watched Disney movies, I can’t recall them all. OMG being closer to the stage and my 2 youngest children still at home loving Disney, I think they’d be blown away. It would be EPIC seeing the Disney Princesses, Mickey and I am sure they will continue to share the Disney magic with all of their school friends, grandparents and their children when they are old enough to have their own. Disney makes magic happen. I love the atmosphere, there’s magic in the air! Who will we see and how will they dance?! My son loves the ice skating itself and Disney on Ice is pretty much the only opportunity to see such a magical ice dancing performance! My daughter can’t wait to see Moana and Maui on ice because that’s her favourite Disney movie and they weren’t at Disney on ice last year! We have never been to Disney on ice before, as where we live, nothing much comes up this far. As all 5year olds, who does not love Disney. My daughter is a big fan of Disney, as am I. It would be something she would remember her whole life. It would be magical to see all my 4 year old son’s favourite Disney movies come to life! An experience of a lifetime especially being the 90th Anniversay of Mickey Mouse! Will bring back memorable childhood memories for me and be the creation of new ones for my son. We love Disney but have never been to one of these before! I’d be taking my adopted mum along with my two little brothers. My niece loves disney! (especially frozen). I remember going to this as a child – and the shows are just as magical – if not better! What I am most looking forward too, if we win, is seeing my sons face light up when he sees mickey mouse skate onto the rink. He doesn’t have a favourite toy and loves to play with all of his older sisters toys but as soon as he gets a glimpse of mickey anywhere he is beside himself excited! As a mum these big emotions of excitement in our kids really chokes me up! I would be beside myself with joy seeing his joy! I would love to take our 2 kids to their first ever Disney On Ice. It would also be my first Disney On Ice!! Our kids love Disney movies and would be so excited to see them. I was hooked on Disney the first time I saw the Mouseketeer’s Club and now several more generations of my family have shared in Disney magic, add in the ice-skating and Disney truly works its magic! I would love to take my son to see Disney on I’ve because it’s so magical for children. Both my girls (6 & 9) loved Disney on Ice…seeing their favourite Disney Characters in ‘real life’, for me it brings me back to my childhood. I would love to share this with them this year. I would love to see Dinsey on ice with my daughter and friends. She absolutely loves everything Disney. Seeing the characters come to life on ice would be amazing. I love that Disney on ice bridges generation gaps and my wise beautiful mum is just as excited and inspired and mystified as my young beautiful daughter. Together 3 generations sit and snuggle and marvel and sing to all our Disney favourites. It’s the perfect adventure. We have never been to Disney on ice, but would love to finally get the opportunity to take my kids. I would love to take my niece for her 4th birthday in July!! Disney on ice makes me feel the magic as I have from a kid and takes me back to my Disneyland experience! A delightful array of music and dance and Disney mayhem, it spectacular to watch. Puts a smile in everyone’s hearts and takes you back to the Disney classics. My family are Disney fanatics. We all obsess over Disney and are well known by peers as the go to Disney people. Our obsession is so great that from the age of 3 after seeing a Disney on Ice Show my daughter (now 10) told us she was going to be a Disney Princess one day and has competed in Ice skating competitions and skates daily on her way to fulfill that dream! I’d love to take my 2 boys to experience the magic of Disney on ice, especially as my 3 year old is obsessed with Moana! I would love to take my 3 year old. She absolutely loves Disney and adores Else from frozen and Minnie Mouse. I love the excitement it brings all ages! And the little bit of magic I take home with me. My 2 girls absolute love Disney!!! To be able to take them to see Disney on ice would be a once in a lifetime opportunity!! We love the magic and excitement of Disney and this combined with the amazing ice skating and ice dancing skills of the cast would make a trip to see Disney On Ice such a unique and enjoyable experience for my girls! I love the magic of the show and how it brings back so many happy childhood memories. So many Disney stories have impacted me but I would love to take my daughter to Disney on ice so she could see not only the Princesses and characters but the beautiful story of Inside Out, that what is going on inside you is so important and having support for children’s mental health is everything. It’s an awesome family day out for all to enjoy. My girls love Disney on Ice – seeing their favourite screen characters come to life brings excitement and wonder that lasts a lifetime. It’s also magical for the adults to bring back a rush of loved childhood memories. My kids will enjoy Disney on Ice that’s for sure!! Would be amazing to see the magic come to life and my daughter face light up watching it. My daughter and I love watching all Disney movies! She loves dressing herself up and her brothers up as princesses. Disney on ice would be a dream come true for her and the little girl in me!! Disney on Ice shows children that Disney magic is real, and my children would realise they can make their own Disney magic, every single day. Growing up remotely, I was always too far away to see anything like this but I always dreamed of going one day. Now that I have my two young children who believe in the magic of Disney, I would love for them to be able to experience it first hand. Growing up, I had to abruptly leave the only Disney on ice show I’ve ever been to as my friend became frightened of the noise and the lights. I would love to take my daughter to experience the magic that I never got to. My 7 year old and I are obsessed with Disney and i think this would be an amazing experience for him that I wouldn’t be able to give him without a win. I went once as a kid and it was the best thing I’ve ever seen!! Disney is an obsession in our house! For the kids to be able to see their favourite characters skating to amazing music why wouldn’t it be a spectacular event. Big kids like me and the little kids get a kick out of this and brings a smile all the time. I would love to take my 2.5 year old son and bring the Disney world to life for him. I have never been myself so it will be a first for everyone in the family. My nearly three year old daughter hasn’t seen many of the Disney movies yet but her memory is amazing and when I tell her the name of a character she never forgets. For her to see these characters come to life at the Disney on Ice show will see her eyes light up and I’m sure we will be talking about it in years to come. Lights, Disney characters, excited grandkids!! We’d be attending the Adelaide event in a June, the weekend of my daughters 3rd birthday! Her new found love for Mickey Mouse will have her bouncing off her seat in excitement. What a perfect birthday present, hopefully one she’ll remember for a long time!! My grand daughter loves toy story and the smile and happiness on her face would make me smile.Could never afford to go Disney land so the next best thing. Disney On Ice is the closest we can get to Disneyland and it’s amazing! What’s not to love about Disney. It’s timeless and classic. There are not many fun things for the whole family to enjoy these days but Disney on ice hits the nail on the head. Frozen for my 4 year old daughter, toy story for my 6 year old son, inside out for me and Moana for my husband (something he enjoys doing with our daughter singing along to all the songs). It will be a first for us all. My 4yo would dearly love to see this he tells us all the time he wants to see it. I love that the appeal spans all age groups. It’s mesmerising and brings out the child in all of us. I love that Disney know how to hold kid’s attention perfectly! A Disney on ice show just seems to mesmerise them and me! This will be wonderful for the kids! Both girls and boys can enjoy the same magic Disney on Ice provides. I love the magic of watching my favourite Disney characters glide on the ice. Especially the graceful Disney princesses! It’s a magical experience and would love to share with my daughter and grand daughter. Disney is what childhood memories are made from. I’d love to see the magic shine in my sons eyes as he has his first Disney on Ice experience. With memories of Mum taking me to Disney on Ice as a kid, can now give the next generation of your family the same memories growing up, and as there are roller derby skating girls in the family, can show the kids that skating doesn’t have to be just a full contact sport! I can’t wait to enjoy Disney with my daughter. I grew up loving Mickey, Minnie, Donald, Daisy & Friends and now my little Miss will enjoy them together with Elsa, Anna & friends! It’s so cool it’s cold as ice! I’m not sure I have that many years of Disney on Ice left with my almost tween. I need to make Hay whilst the sun shines as they say and would love to make some special memories with her. I’ve always loved ice dancing – it takes such skill, and looks so beautiful. And my kids love the Disney characters, so Disney on Ice is a perfect show for us all to enjoy. I love Disney is for all ages. You grow up watching, and being mesmerized by Disney to then grown up and find yourself still enjoying the magic of Disney! I just love the variety of characters, every one of them is special in their own way, giving kids someone to aspire to and so they dont feel like they’re the only one who is like them. The amazement my daughters’ faces is the best part of the show for me. I will never tired of that! My daughter is about to no longer be the only child. I would love to take her and her cousin to Disney on Ice as a special night out. As my attention is going to be elsewhere and I don’t want her to feel left out. I went to Disney on ice as a kid, I’ve never been able to take my kids to such an exciting event!! 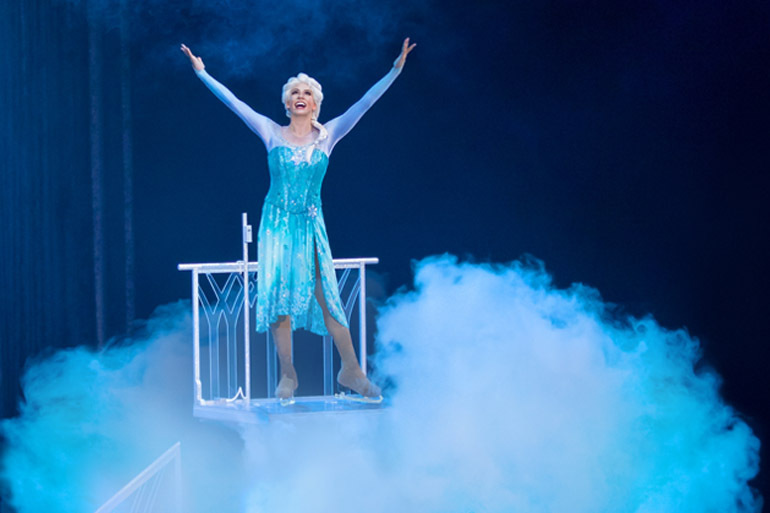 Disney in ice is a fantastic way to let the movies come alive for kids! Such a brilliant show to be able to expand their beliefs and imagination. See the magic of isney is real!!!! The kids love it as they sing and jive. To miss it would be a sad thing. Would love to see my little boys eye light up when he sees some of his favourite movies come to life! I love the magical feeling Disney On Ice brings. It’s breathtaking and a memory to remember. I remember Disney on Ice when I was a kid, back then it was just Mickey, Minnie and the gang. I still love them and would love to take my mum and daughter to see the new generation. My daughter loves the princesses of course. In this crazy world being able to escape into the magical experience of Disney would be a dream come true. I would love to take my gorgeous little girl to see all of her favourite characters, particularly Ana from Frozen who she loves the most! I love that they’ve included Moana this year – my daughter’s hero! we would love to win as it’s the happiest place on ice ! This would be a first for my kids and I would love to see their faces light up with the magic of Disney. I think they would love Toy Story the best! Disney on Ice bring magic alive! I would love to see the wonder in my sons eyes as he sees Disney come to life! Giving my kids the opportunity to experience Disney On Ice would not only inspire them to dance, sing and emulate their favorite characters but also create beautiful life long memories that they will talk about with their friends for years to come. I love absolutely everything about Disney on Ice, it looks amazing and would love to give my children the chance of a lifetime to see the beautiful costumes and amazing talent the Disney on Ice characters have. I remember going when I was little, and I’d love to be able to share the magic with my kids now. I love the timeless fun or the Disney characters and how even more magical it is to watch them on the ice. Such a special event! Love taking my daughter to Disney on ice, we try and go every year because it’s always on near her birthday and she loves all the Disney characters. Seeing the joy that it brings to our children is just magical. I love that the performance is on ice! Skaters in elaborate costumes, putting dance to the story and songs of multiple Disney productions. I haven’t seen a show personally but have worked behind the scenes for one performance and would love to watch from the other side of the curtains. I won Disney on ice tickets when I was a girl. It was amazing, I would love to share it with my 4 year old daughter who is slowly been introduced to all the Disney classics. Would love to take my girls to see Disney on Ice. It looks amazing!! What a special experience it would be!! My 4 year old daughter loves everything Disney so she would be in awe of every single character at the show! That my little Buzz will get, well, a Buzz from it! And that my little Elsa will take away a fantastic memory that she’ll never let go of! My children love these movies and will just come alive with excitement to see the Characters come to life. It will be a fantastic experience for my youngest child who is yet to experience of Disney on Ice. Mickey Mouse!!! I love everything Mickey! (S)o much fun…they could watch him all day. (ON) the (ICE) you go! In the words of my 5 year old daughter… I just really, really, really, really, really, really, really love Disney on Ice! I still remember my parents driving us from Hobart to Launceston in 1988 to Disney on Ice (only 90mins, but it seemed forever as a carsick kid!). My sister and I were so happy when we realised where we were, we’d never seen anything like it! I would love so much to share this beautiful experience with my own trio of kiddos that I’d fly to Melbourne just for them to experience the magic!! An amazing athletic show, much more than just a girl finding a prince. The songs and the colour and the happiness infuse our bones and the memories of a great experience stay with our family forever. Timeless, innocent and fun. That why our family loves Disney. Always brilliant and so well choreographed. We all love it. Love all things Disney. Especially Nemo!!! My children & I love all things Disney. It would be a wonderful first time experience for them watching Disney on Ice. We would love to win tickets to Dixney on ice as we miss ed d out last year. My son would go crazy watching this. The magical world of Disney gives us the opportunity to escape from the highs and lows of managing my daughter’s chronic disease. It’s pure joy, happiness and escapism. My 5 year old son has just discovered Toy Story and would be so excited to see the characters in Disney on Ice. We saw the Disney show last year, in seats way up the back. He would be so excited to sit closer to the action this time around. I love the magic of Disney and the skill of the performers. There’s nothing like it. Looking forward to taking my baby here for her 2 year birthday. She loves the little mermaid like her mumma but I think she’s going to love Pluto as she loves dogs. I have never been to Disney on Ice and am just as excited (if not more) than my 3yr old to see all our favourite characters. Can’t wait! Who doesn’t love Disney,? From the very young to the very old there is a special Disney moment in everyone’s memories from those wonderful stories. We love all things Disney. What an amazing opportunity to see the Disney magic come to life on the ice. The characters and costumes look so beautiful. Disney on ice is a magical experience. It takes me back to my childhood and to see the excitement of my girls is beautiful. I Love Disney on Ice as much as my kids , Its such a Magical show filled with laughter and surprise , It gets better year after year and would love to experience it again this year with my family , Disney will never grow old ! Disney on Ice is such an exciting, fun filled performance for the whole family! My kids absolutely love all Disney characters, I would love to take my children, mainly to see the joy in their eyes and their smiles from ear to ear. I can’t wait to share the absolute joy that Disney on Ice brings with my two little guys. All of their favourite characters and music will come alive and it will be an experience to never forget. My goddaughter has a bad back, and can’t sit for long, so I would love to be able to take her 3yr old daughter, so that she could come home and tell her mummy about all the exciting things she saw at Disney On Ice. Sharing the stories I loved as a child with my own children. Disney is the magic everyone needs in their lives! I love the colourful characters that come to life in the classic Disney way. Performing on ice adds another magical dimension that most kids, particularly in Australia, rarely experience. filled with magic, characters and a little surprise! So beautifully well choreographed – take your pick! Their joy, excitement, jubilation, simply amazes! Always so lovely and delightful, can’t help shedding a tear! I would love to win tickets and take my two youngest girls – they are aged 7 and 5.. We love all the Disney movies – with favourites being Frozen and Toy Story! It would be such a treat to see their eyes light up!